DV1 is a widefield deconvolution microscope from Applied Precision Instruments (API). 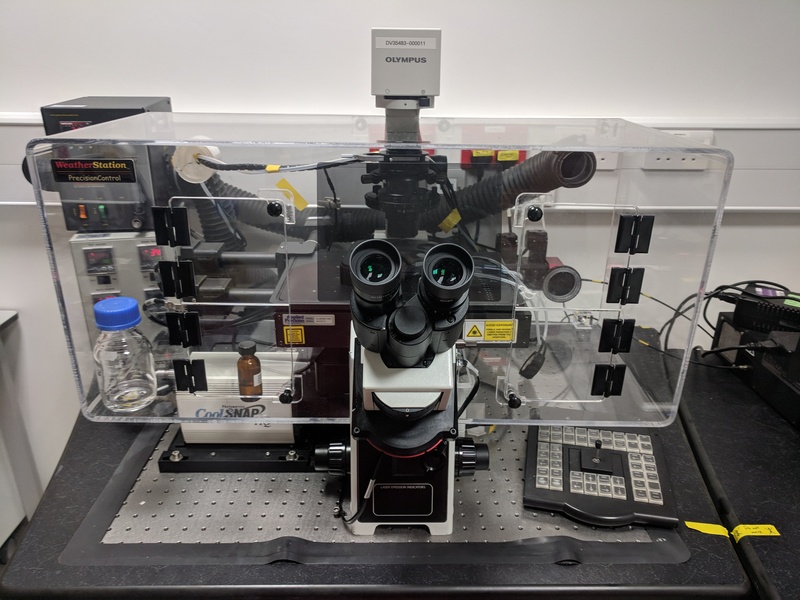 DV1 is optimised for live-cell, multi-colour fluorescence experiments and, combined with the in-built autofocus, is particularly suited to overnight timelapse imaging of cells and sub-cellular components. The image acquisition software (softWoRx) has deconvolution functionality which can be deployed increase contrast and resolution and improve optical sectioning. Figure 1. Optical resolution of the DV1 spinning disk measured monthly using sub-resolution fluorescent beads. Figure 2. Output power at the back aperture of the DV1 spinning disk measured monthly to monitor performance.